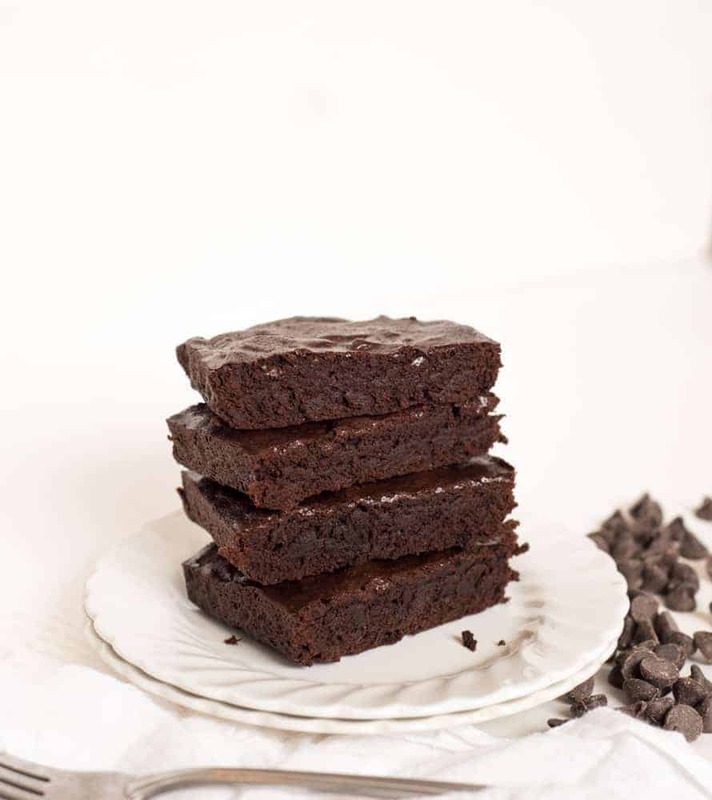 Small Batch Double Chocolate Brownies makes just enough for a romantic dessert for two. Rich, fudgy brownies for the win! I’m so excited about this recipe! Small Batch Double Chocolate Brownies are going to change your life. Maybe we should change the title of this post to The Life Changing Magic of Small Batch Brownies, and then I can write a book all about it. It can be a companion guide to that Tidying Up book. When you are done cleaning, or just done reading the book and feeling overwhelmed, you can make some brownies and feel better. Brownies are magic like that. 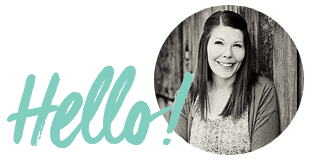 Did you know that I love small batch treats as well as ginormous feed-a-crowd ones? I love small batch double chocolate brownies because they take about 25 minutes from start to finish (including baking time), which is just how long I need to load the dishwasher. After a crazy day with the kids, I can come upstairs, get some small batch double chocolate brownies in the oven, clean up the kitchen, and then eat my treat. Sometimes I just need a little bit of warm chocolatey goodness in my life that I don’t have to share with the little people. If Thomas is lucky, I’ll share half the batch with him, and if he’s out of town, I get a treat two days in a row. The small batch is a treat that won’t totally derail my efforts for healthy eating the rest of the week. 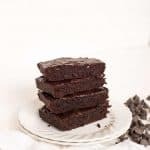 I made these small batch double chocolate brownies a total of 10 times this month in order to get them perfect (don’t worry, I shared with lots with my neighbors!). I was inspired by my friend Christina at Dessert for Two, who had a great small batch brownie recipe. She put cute holiday M&M’s on top of hers, but I wanted to melt some extra chocolate into mine. When it comes to brownies, I like them extra rich, full of chocolate flavor, a little gooey in the middle, and super moist. These brownies are just that. If you are a cake-like brownie fan, this is not the recipe for you. Rich chocolatey brownies for the win. You are prone to eating a whole big pan of brownies, but want to avoid that. You have a small household (empty nesters, young families, single peeps). You adore all things chocolate but can’t be trusted with a whole pan of brownies. You enjoy a treat that is just for you and doesn’t include sharing with your kids. You hate cleaning up the mess that little people make with brownies. Smaller pan = less crumbs on the floor. Chocolate is your love language. Let’s be honest. This recipe is for everyone! I can’t wait for you to make them! This recipe is great because you can make it all in one bowl. I used a glass 4-cup measuring cup to melt my chocolate and butter together and then I just used it as my mixing bowl to finish up the recipe. I wanted to note that the size of the pan will determine how thick the brownies are and that will alter the time they need to cook. I tested mine in a 9 inch by 5 inch loaf pan. If you don’t have that, you might need to play around with the baking time to make sure they are cooked through without being overdone. Use a good quality chocolate chip here since it plays such a big part in the flavor. You can use extra dark, semi-sweet, or milk chocolate chips depending on what you like. How can you tell when brownies are done? The most popular technique is to stick a toothpick in the center. If it comes out clean, it’s done. How long do you let brownies cool before cutting them? Cool brownies in pan for at least 10 minutes if you want to serve them warm or wait 30 minutes to serve at room temperature. In a microwave safe bowl add the butter and chocolate chips. Microwave on high for 30 seconds and then stir well until smoothed (about a minute). Add the vanilla and salt and stir to combine. Add the cocoa powder and flour and stir to combine well. 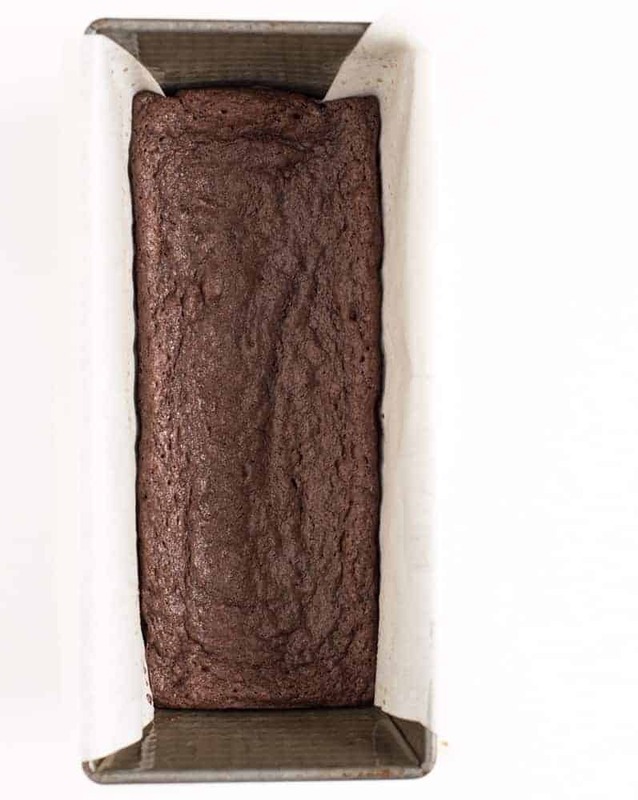 Line a 9 inch by 5 inch loaf pan with parchment or spray with cooking spray. Add the brownie batter and smooth out the top with a spoon. Remove from the oven and allow to cool for 10 minutes before serving warm or at room temperature. The size of the pan will determine how thick the brownies are and that will alter the time they need to cook. I tested mine in a 9 inch by 5 inch loaf pan. If you don’t have that, you might need to play around with the baking time to make sure they are cooked through without being overdone. dutch-process cocoa powder is preferred for this recipe. Chocolate lover? I think you’ll love these chocolate recipes too! Enjoy this little treat from me to you! 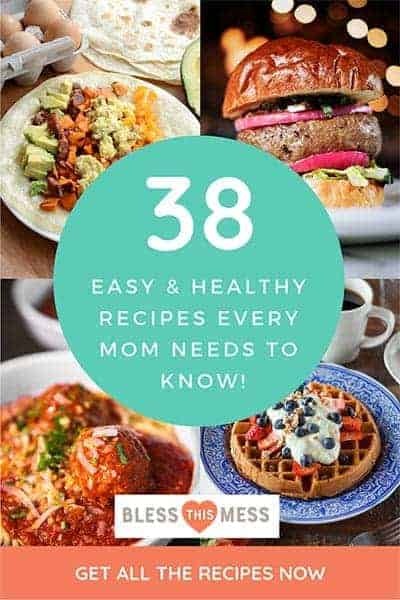 It’s one I can’t wait for you to make in your own kitchen. I love this post. So funny and so delicious looking. In the recipe for the butter, I assume you mean 4 T. OR 1/2 a stick (not 4 T. OF 1/2 a stick). I can’t wait to make these. Have a wonderful holiday. I’m in love already!! I can tell they’re going to be super-fudgy just by the quantity of ingredients??? Thanks Melissa! Have you see this brownie pan? A friend got me one. You have to shorten the baking time because the brownies cook much quicker. This way, everyone gets an edge. Supposedly, you can use it for lasagne, too. Swirled Nutella in these yummy brownies and made the hubby drool! Thanks for the great story and scaled down recipe. ? This recipe was perfect! My husband has lost 34 lbs., and I haven’t been making any desserts. 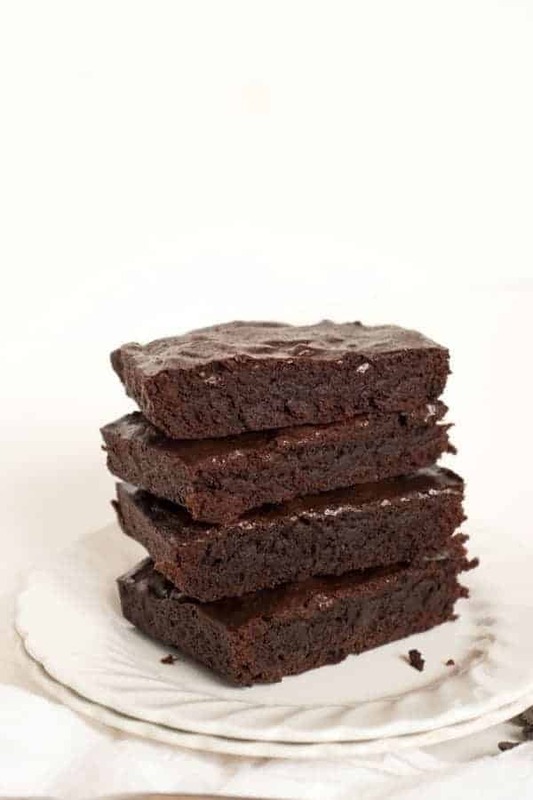 Last minute, realizing that everyone might expect/appreciate a dessert for Father’s Day dinner, I googled small batch brownies and this recipe came up. It was perfect! Perfect amount and perfect taste. So easy to make, and I had all the ingredients on hand! Thank you! I love that! Congrats to him for his success and congrats to you on supporting him in it! I’m so glad you liked them.